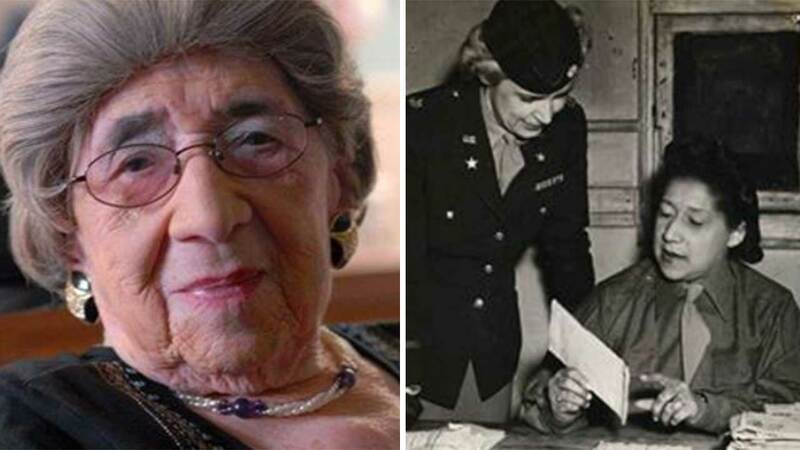 WASHINGTON DC (KTRK) -- The oldest female veteran has passed away at the age of 108. Alyce Dixon, also known as 'Queen Bee,' died peacefully at the Washington DC Veterans Affairs Medical Center Community Living Center on Wednesday. Dixon was a member of the Women's Army Corps and stationed in England and France, where she played a key role in the postal service. After her Army career, Dixon served the government for several with the Census Bureau and the Pentagon. Dixon earned her 'Queen Bee' nickname by her impeccable dress, and never left her room without fixing her makeup and hair. So what was her secret to such a long life? "I always shared what little I have, that's why He let me live so long," she once said. I just believe in sharing and giving. If you have a little bit of something and someone else needs it, share," she said. Dixon was born in 1907.